Welcome to the website of Lock Secure. 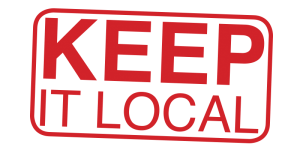 We are an experienced, LOCAL locksmiths in Waterlooville. We provide our commercial and domestic locksmith services 24 hours a day, 7 days a week, every day of the year. Our focus is always on customer service and value-for-money. There is NO call-out charge, we provide emergency services and offer discounts for OAP’s, students and customers with disabilities. We are not a national company and you are not calling a call-centre several hundreds of miles away. We are located in Waterlooville and cover an area within a 15 mile radius from our base. All our work is guaranteed with a 12 month manufacturers warranty on all parts and a guarantee on all workmanship. Lock Secure works tirelessly to ensure that their clients receive affordable, round-the-clock Waterlooville locksmith services they can depend upon. Our trained personnel are CRB checked and registered.